Quench your creative thirst! Relax and let your inner artist flow in this welcoming setting. Complimentary wine and snacks provided. Celebrate Valentine's Day with a work of HeArt! Create your own one-of-a-kind pendant. 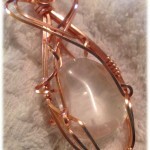 You will learn to wrap a gemstone crystal using square copper wire. 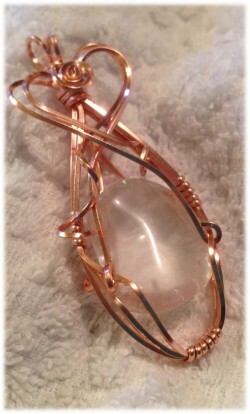 This versatile style wrap makes a beautiful finished piece. No previous experience necessary. All materials provided. These classes fill early, so register today!